Rock and roll legend Elvis Presley died on August 16, 1977, bringing an end to an amazing career that included such greats as “You Ain’t Nothing But a Hound Dog,” “All Shook Up,” and “Love Me Tender.” However, Elvis came to life at the Haskell Opera House on October 1 through the voice of Mark Shelton of Newport. 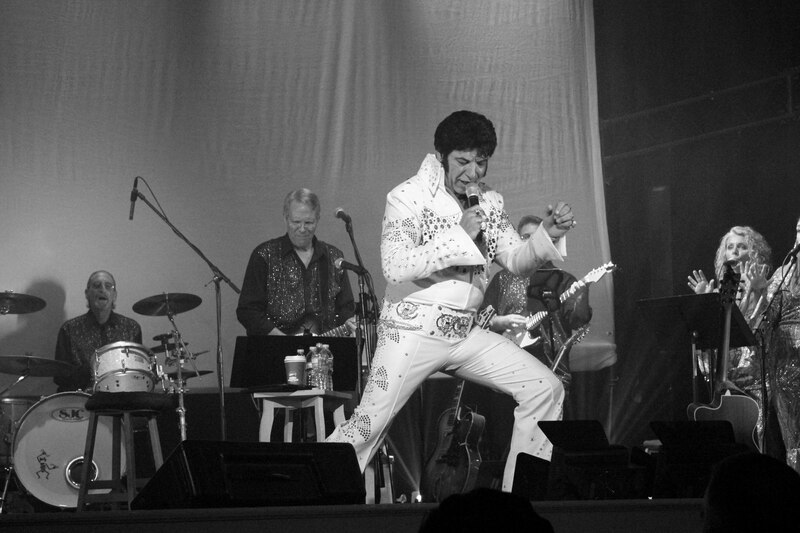 He played some of Elvis’s greatest hits in front of two sold-out shows promoted as “The King Returns” show. 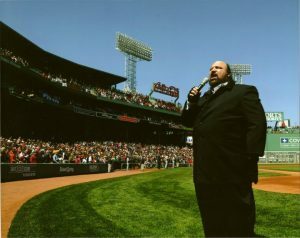 One of the most versatile singers to ever come out of the Northeast Kingdom, Mark has performed a wide variety of music all over the United States and points around the world. Mark’s wife, Lisa, who is equally talented, is the daughter of the Rev. John and Ruth Genco. She grew up totally absorbed in the world of music. The Sheltons have donated thousands of hours to benefit worthy causes. Mark’s appearance at the Haskell was more than about entertainment and honoring Elvis. It was also about determination, his love of his wife, and to raise money for Lisa’s medical care. She was diagnosed with stage 4 lung cancer on May 27, 2014. About two and a half years since diagnosis, she has far outlived the vast majority of people diagnosed with such an advanced stage of that type of cancer. The hundreds of people who attended the show were treated to probably one of the best Elvis shows that has taken place since the real Elvis passed away almost 40 years ago. There were more than a few wet eyes when Mark also took time to serenade his beautiful bride. The band and all the backup singers, one of them Lisa’s sister, Jo Gardner, were also amazing. 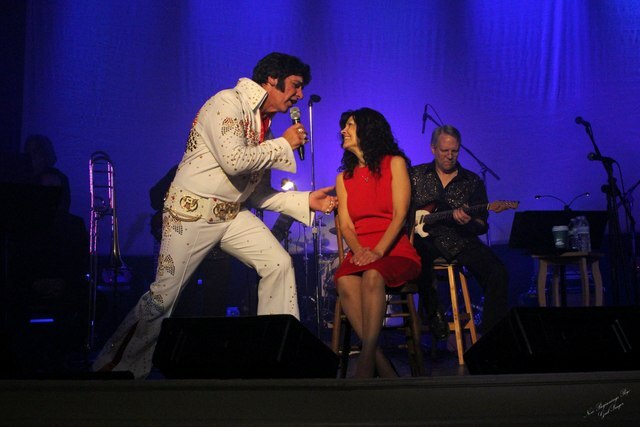 For a time, Mark was also joined on stage by Lisa’s parents who shared their musical talents. 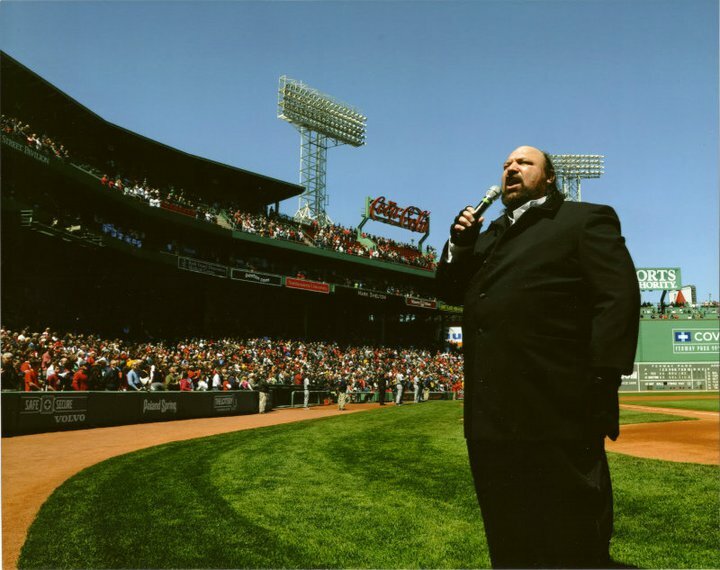 Mark’s son, Barry, a staff sergeant in the U.S. Air Force, served multiple roles, including stagehand. Although Lisa’s daughter, Johna, is away at college, she was there in spirit and was in constant contact with her mother during the concert. Mark said he has no doubt his deceased parents, Richard and Barbara Whitcomb, were there in spirit. Wanting to honor Elvis at the same time, Mark said he wasn’t about to try to squeeze his girth into a skintight jumpsuit. With the help of a personal trainer, and the support of many, he completely changed his diet and began a workout regime that would not only help him lose weight, but tone him as well. On concert day, Mark looked like a totally different man in his jumpsuit, weighing 215 pounds. He’d also shaved off the signature beard he’d worn since 1983. 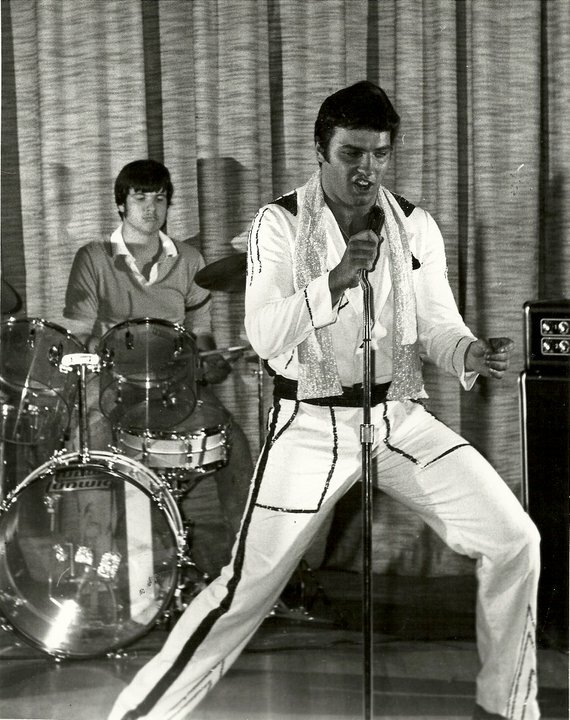 Although he’d lost weight the natural way, and he’d shaved his beard, there was little he could do naturally to cover his balding head to create the Elvis look. Instead of being a bald Elvis, he donned a wig resembling Elvis’ hair. Without a doubt, Mark’s performance, and that of the entire band and the backup singers, was one of the greatest, most touching performances to take place in the opera house during its 100-plus years. The performance even attracted national attention, spotlighted on the national news. Publisher’s note: Our thoughts are with Lisa as she continues her battle.